The new year is upon us! What will 2019 bring? 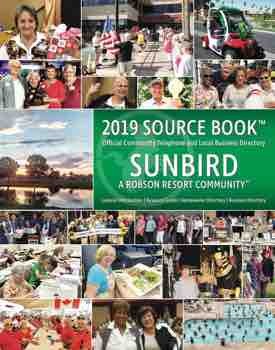 Thank you, SunBird residents! The Credence Clearwater Revival Tribute Band performances completely sold out! This musical event was a first for the Kare Bears, and under Barb Dunbar’s excellent direction and coordination, a great success. The Christmas luncheon in December was a great time to enjoy friendships and partake in delectable cuisine. We commend the decorations committee, Barb Dunbar, Nikki Hanley and Emily Hughes, for their time and creativity. They produced a colorful display on each table. Great job, girls! A scrumptious luncheon was served to over 50 Kare Bears by the Horizon Room staff. We enjoyed a savory potato bar with all the fixings and a mouthwatering variety of petit fours for desert. An interesting twist on the gift exchange was played by stealing and switching as Emily read The Night before Christmas. Barb Valentine, representative of the Tai Chi group, presented the Kare Bears with a generous donation from their members. Emily asked Aggi Regan to introduce Margaret Ryan of St. Vincent de Paul, of which the food pantry at St. Mary’s is connected. She expressed her appreciation to the Kare Bears for our annual beneficent donations. Lunch participants brought non-perishable items to donate. All Items were loaded into a pick-up truck for delivery to the pantry. 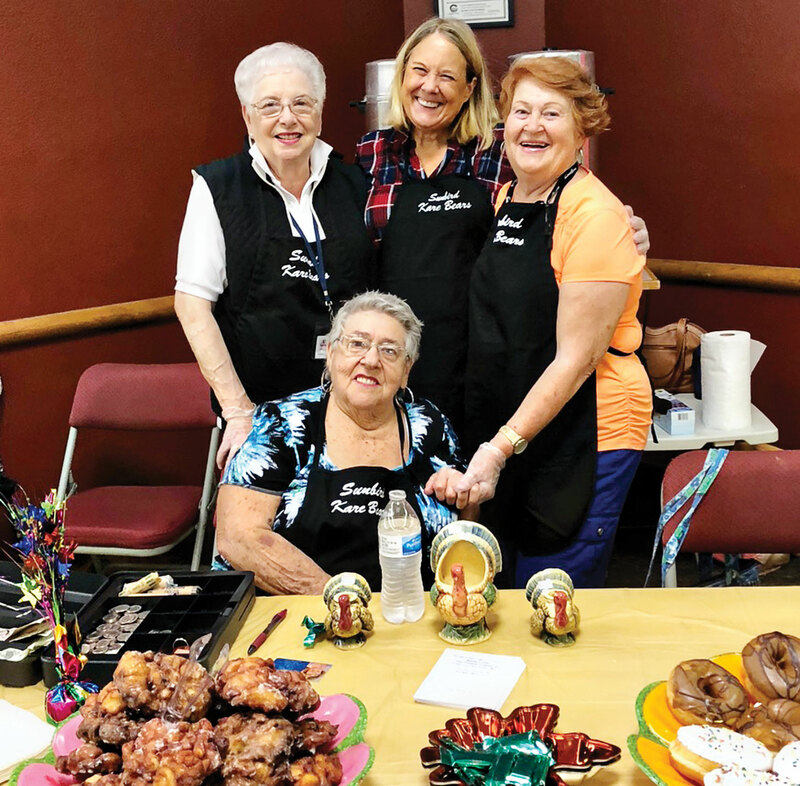 Aggi, Mary Regan and many of our Kare Bear friends commit their time and energy to serve the poor at the St. Mary’s facility. Margaret Ryan told the group that St. Vincent de Paul had served over 12,000 people during 2018. The next Kare Bear meeting will be Wednesday, February 20, at 1:00 p.m. in the SunBird Ballroom. Our speaker will be Officer R. Kelly of the Chandler Police Department. He will share with us regarding the “Shop with a Cop” program. Possibly, we might have time to inquire what his day-to-day activities consist of. Don’t forget the Kare Bear Fair on Saturday, March 2. Vendors with shoes, t-shirts, jewelry, hats, health and beauty products and watch battery replacement will be in available. Functional items for our white elephant and boutique table are always appreciated. Thanks to the Ceramic Club for their recent contributions. Donations and pickups can be arranged by contacting Sherry Fann at 480-883-1167. The Kare Bears organization is now in its 27th year! Would you like to be a member of this great group of women? Come join us on Wednesday, February 20, at 1:00 p.m. in the ballroom. If you have any other questions regarding our group, please contact Juanita Harbut, Julia Roberts, Lynn McHale, Emily Hughes or Barb Dunbar.